Do you love Long Beach, CA and all it has to offer? Apply to become an #VisitGayLB Ambassador! Do you love Long Beach, CA and all it has to offer? Do you post photos, videos and information about your adventures on Twitter and Facebook? Apply to become an #VisitGayLB Ambassador! 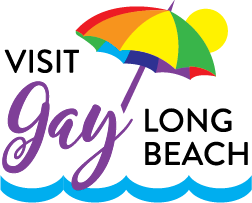 Once you’re on board, whenever you hashtag your posts with #VisitGayLB and/or connect with our profile (@VisitGayLB), we’ll make sure to engage with your posts by liking, commenting and retweeting. We make sure your posts are seen by OUR AUDIENCE! Then, watch this space as we begin to profile our #VisitGayLB Ambassadors!